Ariadne Capital is an investment firm, founded in London UK in 2000, by Julie Meyer MBE, which builds Ecosystem Economics based firms. Entrepreneur Country is their platform for bringing Digital David’s and Industrial Giants together to model and deliver future states of their businesses. Through a platform of strategic investments and events Ariadne Capital’s mission is to champion Entrepreneurs who have the vision to change the economic value of new and existing markets. 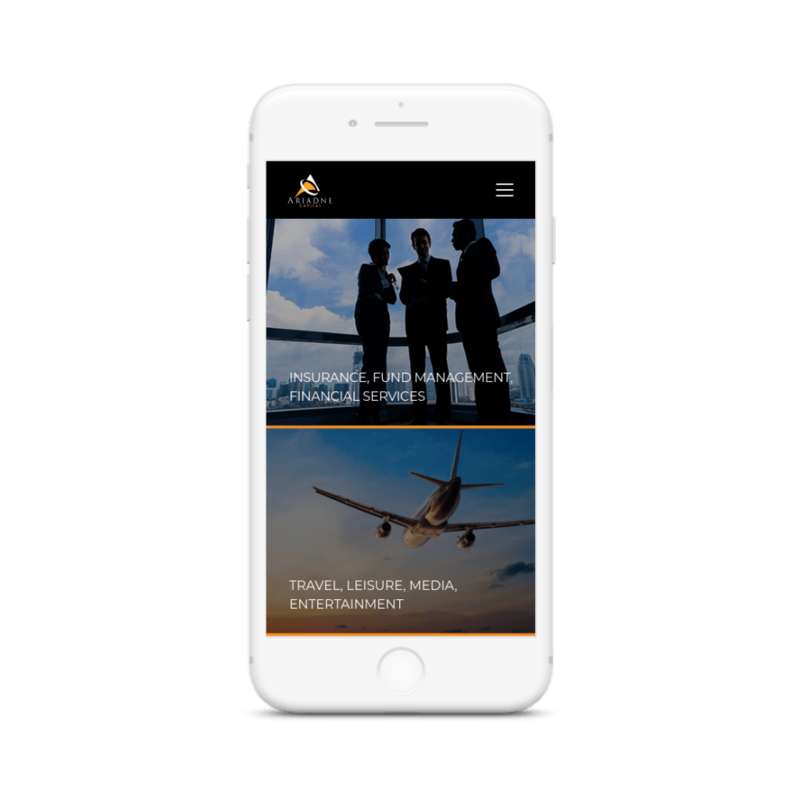 We were approached to assist with the design and build of their new website.The Ariadne Capital website needed to be memorable and to present their fresh and powerful ideas. As such it was key to pair these ideas with a fresh and impactful look. To ensure that website visitors were able to navigate to the information that they required, our design team worked to produce a structure that was clear and organised. It was important to make distinct areas, each clearly displayed and with relevant and helpful signposts to help users move around the website easily. With the website being content heavy, ensuring a smooth user journey was key. The design has achieved a professional look, a trait that will be central to Ariadne Capital continuing their development into a highly respected and sought after company. From the moment you arrive on the site, its colour scheme, use of images and page formatting provide an attractive cohesiveness. What could be a complex and confusing overload of information is displayed and structured in a user friendly way . Clear tabs and menus make it easy for a visitor to navigate their way through the site, thus achieving the ideal of encouraging a user to spend time on the site and learn more about Ariadne Capital’s Ecosystem Economics.